Writer's block, it can happen to the best of us. But For creative individuals this can be a stressful period. 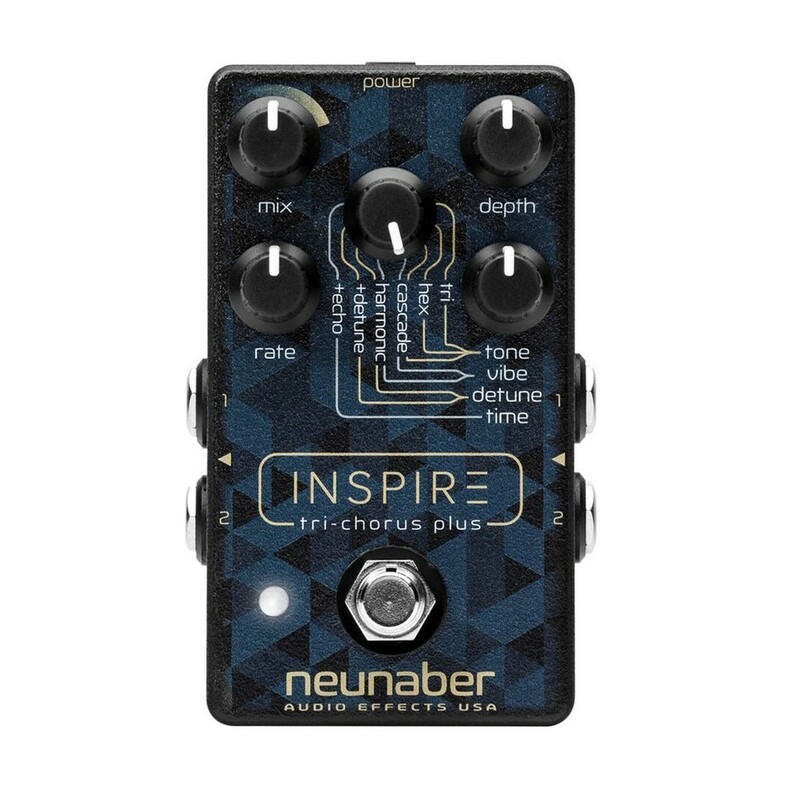 That's why the experts at Neunaber engineered the 'Inspire' pedal. Packed full unique chorus sounds - it's the perfect antidote for any writer's block. Explore the Cascade tone and vibe. Two tri-choruses which create an atmosphere that is sure to captivate any bystander. Rich and tranquil sounds radiate out of your amp. Recreate some of the greatest guitar sounds with just a single pedal. Whether it's the king of chorus Johnny Marr's jangly tones of The Smith's or the ethereal sound of The Cure, you'll be free to experiment with bright and dark sounds. Who can forget the classic Nirvana intro on 'Come As You Are'? Create a dream-like tone that is truly mesmerising - sit back and get lost. Compact and portable. The miniature body shape means this will fit perfectly on any sized pedalboard - so you'll be able to keep all your pedals in one place, making this easier to transport from venue to venue. Not to forget the ultra sensitive footswitch. The subtlest of touches will activate the Neunaber, so you'll always be in time for those explosive choruses.